Although we hadn't planned on it, our afternoon at Versailles became one of athletics. 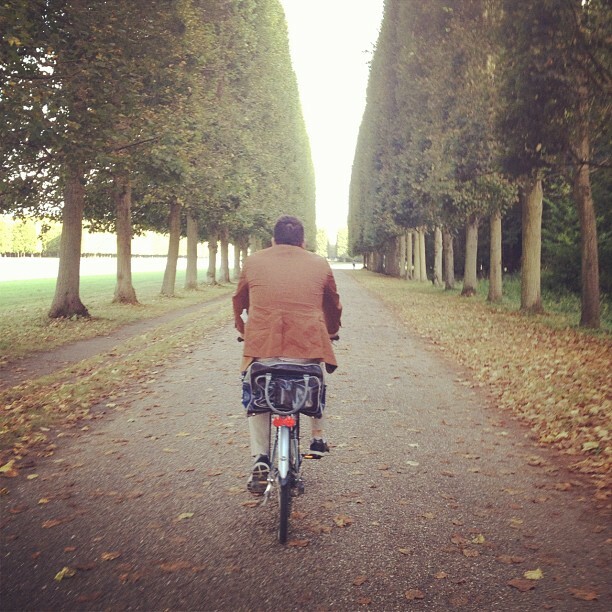 After rowing the Grand Canal we rented two bikes for €11 and drove around the bike paths through the Palace's grounds. It was way more fun that I thought it would be (I'm more at home in an art gallery than a gym). 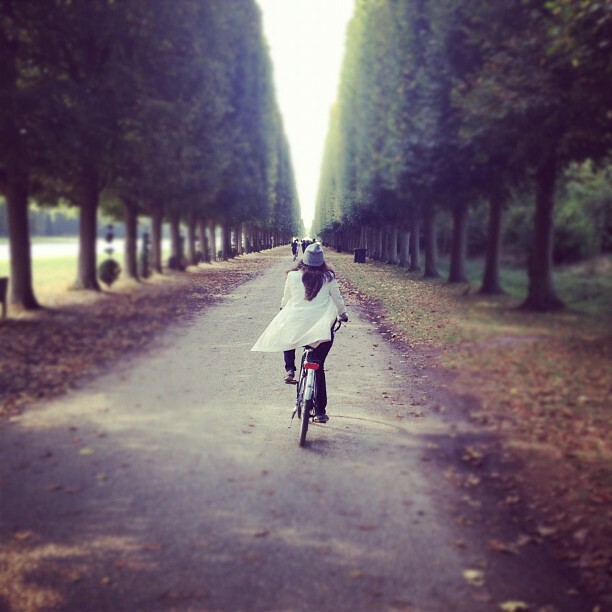 Although at first glance it may not seem so, Versailles really does have something for everyone. A palace and museums for those who are culturally inclined, beautiful gardens for green thumbs, boats for rowers, and bikes for land-lovers. There are ducks to feed (or run away from) for the kids, and cafes and restaurants for when you get hungry. There are expansive lawns to lounge on, picnic on, or play on. There are even golf carts and tourist trains, if you have mobility problems, or are simply pressed for time. But I think Versailles is best seen slowly, from the back of a row boat. Or the seat of a bike. I cannot believe I haven't been there yet! We tried last time we were in Paris but palace tickets were sold out and we were keen to check out the property. The bikes look fun - will keep that in mind when we finally get there! 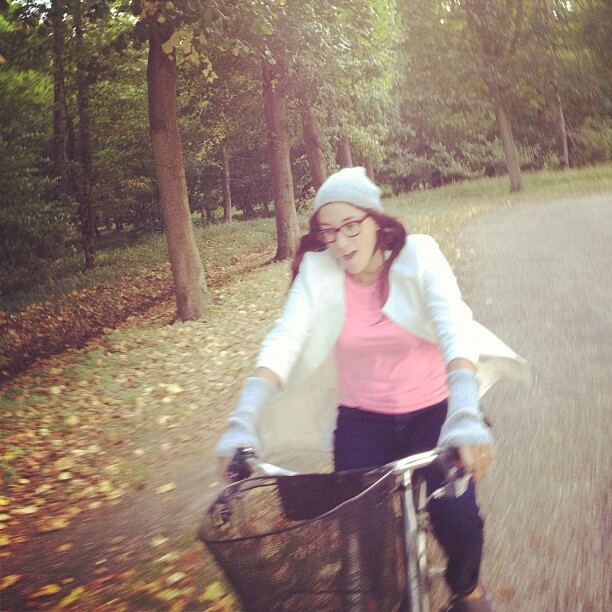 I LOVE that picture of you biking!! 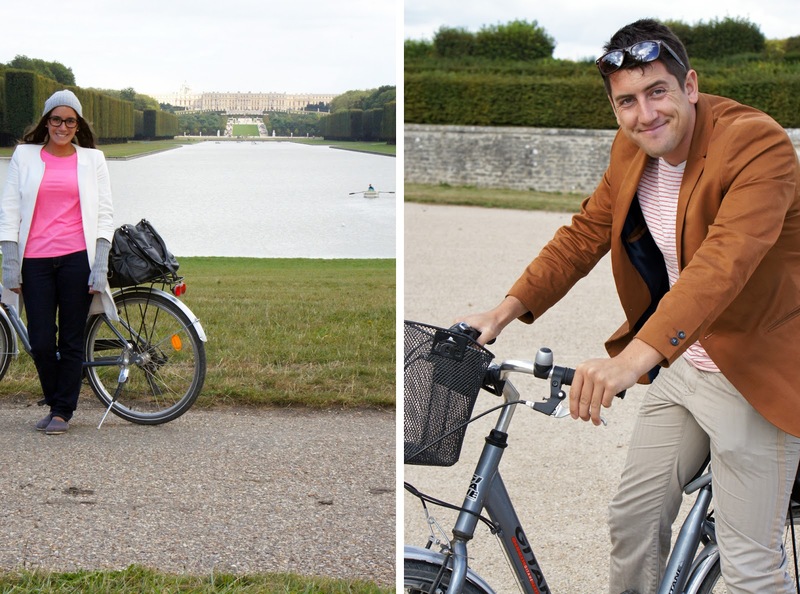 This looks like SO much fun :) Renting bikes is always a fun way to explore, especially around the likes of Versailles! We'll definitely be doing this if we ever find ourselves in Paris.